Solis out; what does this mean for MLB bullpen? As many expected, Sammy Solis was cut loose on 3/10/19, given his unconditional release. 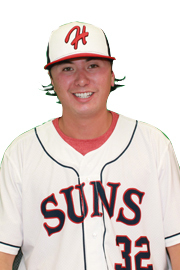 Solis was a very long-serving player for this team, a 2nd round pick in 2010, and for a time was a very valuable lefty option out of the MLB bullpen. But his 2018 struggles led many to believe he’d be non-tendered last fall, and more to believe that he had basically a 3 week try-out this spring. It was this last scenario that led us to this point; This was a key cut-off point for cutting players and only being responsible for 1/6th of the agreed-upon salary. So Solis departs with a $147k check for his time and faces a tough future. He’s a tough sell to put on the 40-man roster b/c of his lack of minor league options, but should have no issues getting a MLFA deal and go pitch out of someone’s AAA team to try to re-establish his ability to get lefties out (which left him for some reason in 2018). So, ripple effects on the Nat’s bullpen. Here’s the bullpen I predicted we’d go with at the beginning of spring training. But, there’s been some developments. Glover has been hurt; he’s thrown just a third of an inning so far, and seems more and more likely to be hitting the D/L. Miller has thrown just two innings … also struggling with injury. Joe Ross, our supposed 6th starter … has yet to start a game. But he’s looked pretty darn good in relief. Is he angling to make the team in a longer relief role? It may also be meaningless; Voth and McGowin also aren’t starting a ton of games in MLB camp and are expected to be the bulk of the AAA roster. MLFA Scott Copeland has looked excellent and may be pushing for a 25-man spot if Miller/Glover start on the D/L. Tanner Rainey has gotten shelled, and for all we’ve heard about his arm, has zero Ks. Vidal Nuno seems to be the most likely person to benefit from the Solis release; who else in camp is a lefty reliever? J.J. Hoover is still out there too as a veteran MLFA who may get some opportunities based on past track record. Only Miller and Grace now remain without Options … but both seem nearly guaranteed to make the team (or the D/L). As noted elsewhere, Austen Williams has been great … can he make the team? We do have a free 40-man spot for the taking. One other note. Not that we’re talking about starters right now … and yes I know you’re supposed to ignore spring training stats, but you just cannot ignore what’s going on with Erick Fedde. 7 innings … SIXTEEN hits allowed to go along with five walks. That’s nearly a 3.00 whip. Is it time to pull the plug on the Fedde-as-starter experiment? Is he better served throwing in relief? If I had to predict the bullpen today? What is your reading of the ST bullpen tea leaves this week? We do this every year. We argue about it every year. This is now the 8th version of this post (see the bottom for links/summary of the first seven). Thanks to long-since implemented service time changes the Rule-5 draft remains mitigated in importance. Yet here we are talking about it again, because we’re some of the few people out there who obsess about the edges of the 40-man roster, and who have meticulously studied our prospects for years and who don’t necessarily want to see the promising ones head out the door for a pittance. So here we are. Next Monday at 8pm is the deadline to set 40-man rosters ahead of the Winter Meetings, which include the Rule-5 draft. With so many teams purposely tanking there’s going to be lots of usage of the draft this year. Lets take a look at who is eligible, who might get protected and make some predictions. I’ve got the Nats 40-man roster at 35 now, so there’s plenty of room to add names and do their off-season work. The quick Rule-5 rules for 2017; any college-aged draftee from 2014 or before who isn’t already on the 40-man roster is Rule-5 eligible this coming off season, and any high-school aged draftee/International Free Agent from 2013 or before is newly eligible this year, assuming they were at least 18 as of June 5th of that year. Austen Williams: he has featured at High-A 3 years running, got moved to AA for the 2nd year running this year and still continues to struggle with that leap. I don’t think he’s a candidate to protect but is worth mentioning since he’s a long-serving starter in the organization. The team sent him to the AFL perhaps as an audition for consideration. Tyler Mapes: the 30th round pick continues to be found gold for this team … but he missed the entire 2017 with an injury. Because of that he’s clearly not a rule-5 danger, but he could fit into the teams plans as a rotation member in AA or AAA this year. He has a career 2.68 ERA in the minors, vastly outperforming most of the rest of his draft class. Taylor Gushue: the 2017 trade acquisition had a solid year in High-A, is a catcher in a system that needs them, and seems like a lock to add. He wasn’t set to the AFL for nothing. Not mentioned: several other draftees from this class that are marginal prospects right now: Dale Carey, Matthew Page, Austin Davidson, Alec Keller, Robbie Dickey, Weston Davis, James Bourque. All these guys are still in the lower minors. Dickey represents the biggest investment ($400k signing bonus) and is one of the biggest disappointments from this draft. 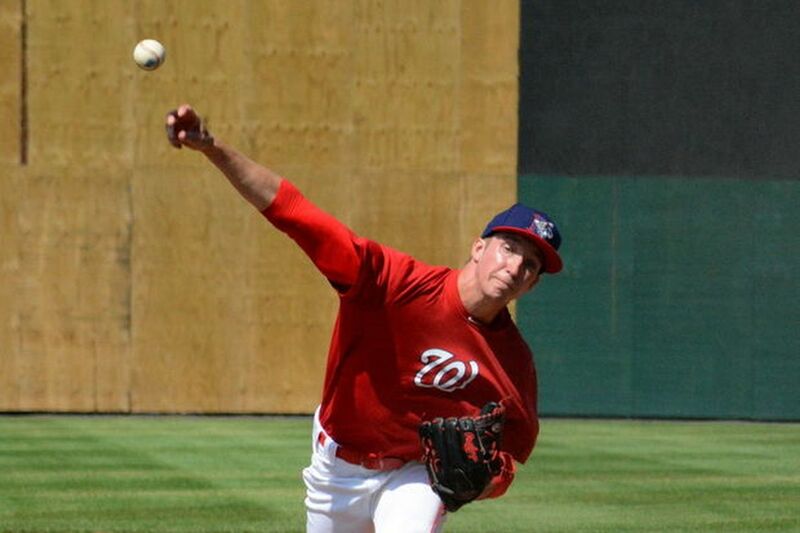 Erick Fedde would have been the big name here to protect had he not already been added. Trea Turner was also a 2014 college draftee. Drew Ward: he is literally the only 2013 HS draftee remaining in the system and is an interesting protection case. He had a great 2016 (making the All Star team and shining in High-A) but has not translated that success to AA. But, he’s only 22, and a 22-yr old struggling in AA isn’t that surprising. Question is; do you protect him? He’s blocked at the major league level by Anthony Rendon but that means little in a game where his value might be in trade versus production for the big league squad. It wouldn’t surprise me if he got protected. Edwin Lora: SS who has progressed neatly one level at a time for 5 years. But he’s a career .238 hitter. We need a backup utility fielder and he fits the bill, but he doesn’t seem to be ready. I also don’t see him as a threat to get drafted. Kelvin Gutierrez, 3B recently of the AFL who has shown some promise. He’s a lock to get protected based on his production and his presence in Arizona. 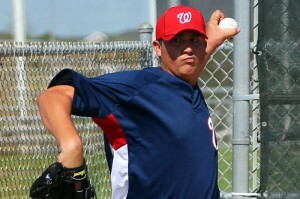 Luis Reyes, RHP who started 26 games for Potomac this year. He’s a bit wild, but he’s also a solid starter who projects to AA in 2018. Is that enough to be a draft threat? Maybe. 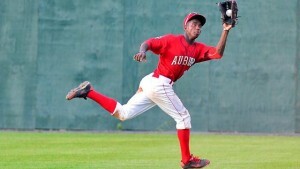 Anderson Franco, 3B: highly touted on prospect boards, but hit just .201 for low-A this year. Not a draft candidate but someone to watch/hope for a rebound 2018. Not mentioned: many 2013 IFA signings throughout the lower levels of the system. This includes Aldrem Corridor, Joshual Ramirez, Luis Vilorio, Oliver Ortiz, Francys Peguero. Honestly, I had not even heard of most of these guys and wouldn’t be surprised if I had their eligibility wrong. They’re mostly in the very low minors. Rule-5 Eligible hold-overs of note: 2013 or prior college draftees still hanging out in the system, or 2012 and prior HS/IFAs. Wander Suero: the 2010 IFA exploded onto the scene this year as the closer in AA and then AAA, posting a 1.79 ERA for the year and heading to the AFL. He was already added to the roster two weeks ago. John Simms: I’ve always liked this guy; he’s now worked his way to AAA and made 8 starts there last year. He isn’t a big K/9 guy, perhaps is seen as an org arm, but he’s got a good pedigree (Rice) and has made it to the cusp of the majors. Is that enough to protect him? Probably not. Spencer Kieboom: he struggled enough in 2016 to get DFA’d in early 2017 … but then he hit pretty well in AAA this year. Is that enough to get him back into the mix? Dakota Bacus: he pitched pretty darn well in relief across High-A and AA this year, and was sent to AFL to get more innings. Is he an option to add? He didn’t have the numbers that Suero did, but perhaps the team thinks he could be an option out of the pen. Kyle McGowin: an interesting case since he was sent to the AFL: he struggled badly in 2017, getting demoted to AA at one point and posting a 5.95 ERA for the year. I don’t think we’d shed a tear if he was drafted, but I don’t think he’s meriting a 40-man spot right now. Joan Baez; power arms don’t grow on trees, and even though he was “only” in high-A this year he’s well known enough to perhaps merit protection. 2013 or before College Draftees that are Rule-5 holdovers include David Masters, Isaac Ballou, Justin Thomas, Matthew DeRosier, Robert Benincasa, Derek Self, Brian Rauh, Ronald Pena, Robert Orlan, Steven Perez, Bryan Mejia, Osvaldo Abreu, Wirkin Estevez, Hector Silvestre, Jefry Rodriguez. Perhaps at some points in their careers some of these guys seemed like locks, but for now they all toil in the lower minors (for the most part) hoping to put themselves into contention. MLFAs who are technically Rule-5 eligible: Yadiel Hernandez, Irving Falou, Greg Ross, Jaron Long, Jordan Mills. Long in particular has worked in AAA for three years now, but may be considered an org arm at this point. Ross looked promising for a while, but struggled badly in 2017.
Who would I consider: Kieboom, Bacus. Maybe. If they added these four additional guys they’d be at 39/40 on the roster, still leaving them immediate room for a FA signing or trade. But there’s more than a few names on our 40-man currently that could be cut (starting with Voth, Gott, Bautista). So we could see some manouvering this off-season. Did I miss anyone? this is kind of tough analysis without a massive white board with every name in the organization listed … something none of us have time to do for free. Nats official protection announcement: Gutierrez and Jefry Rodriguez in kind of a shocker. For a fun trip down memory lane, here’s the same Rule 5 Protection analysis post for 2016, 2015, 2014, 2013, 2012, 2011, and 2010. Arizona Fall League 2017 rosters were announced earlier this week. Here’s the Nats announced participants: Victor Robles, Dakota Bacus, Jimmy Cordero, Kyle McGowin, Austen Williams, Taylor Gushue, Kelvin Gutierrez. They were hurt and need more ABs/Innings on the year. They’re uber prospects from the mid-minors who the team wants to see challenged as a “finishing school” kind of situation. They’re rule-5 eligible in November and the team wants to make a decision on whether or not they’re worth protecting. The AFL roster is short a catcher, pitcher or middle infielder so the team has to pony up one to fill the roster. They’re working on something new … a new pitch, switch hitting, etc. So, given those rules, lets do quick judgements on why these particular players are playing in Arizona. Robles: Reason #2: he’s the team’s undisputed #1 prospect; he’s heading to AFL as a finishing school challenge ahead of him likely working his way into a 2018 call-up. Bacus: Reason #1 and perhaps Reason #3 as well: Bacus missed two months this year on the D/L, but also took a big step forward performance-wise. He’s been Rule-5 eligible for two years now, but suddenly he’s succeeding at a high enough level that the team may be thinking about protecting him. Cordero: #3 primarily: Cordero was outrighted in August and has had a pretty ugly 2017 season stat-wise. But he was on a 40-man roster prior to his acquisition for a reason, and the team may want to see a bit more of him before deciding whether to protect him again. McGowin: Reason #1, maybe #5: McGowin missed about two months with two different D/L stints … and was demoted twice this year. Is the team looking to convert him to relief? I don’t think he’s a rule-5 jeopardy even though he’s eligible for the 2nd time. Williams: #3 mostly; Williams is Rule-5 eligible for the first time but struggled in AA for the second year running. He did miss some time this year, but this seems more like a “challenge” AFL placement. Gushue: #3 again, perhaps #4: Gushue is probably under advisement for rule-5 protection by virtue of the fact that he’s a Catcher and he can hit, even if he’s repeating High-A again in 2017. You can never have too many catchers on the roster for depth, and with the team likely parting ways with Jose Lobaton we’ll need more on the roster. 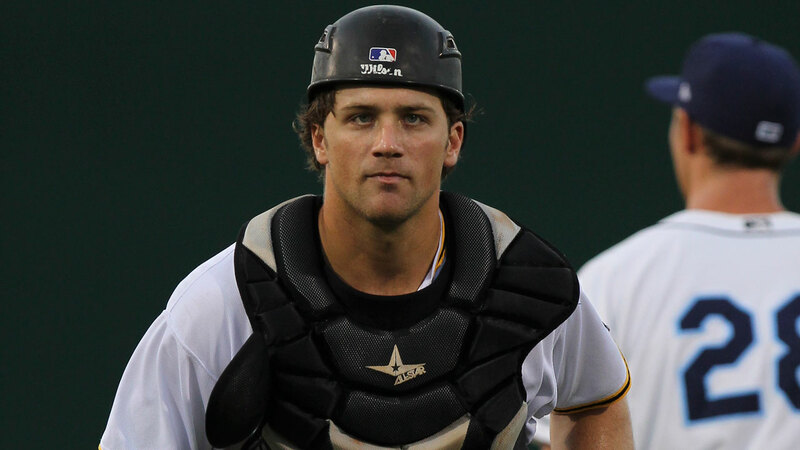 Catchers on AFL rosters are also in short supply, so there’s a double reason here too. Gutierrez: #1 primarily: he’s shown promise at the plate 3 years running at successive levels, but got hurt and missed a chunk of time after making the Carolina league all-star team. He’ll get some catch up ABs in Arizona and the team will get to see him challenged too (he’s never been above High-A). We’re all curious to see how Robles fares against top-end minor league competition of course. But who among the rest of these guys is even considered a top end “prospect” in our system? The next closest thing to a “top 10” guy is Gutierrez, who has been in the 8-12 range on the last few rankings. Gushue was ranked 25th on MLBpipeline.com’s mid-season ranking; the rest of these guys are not even on the top 30. So, not a great crop of talent necessarily but a slew of guys who the team may want to add at the fringes of the roster later on. As I mentioned in the comments on the previous post, I was away from computer all weekend so I missed the opportunity to comment on all the major things that went down. So this is a clearing house of thoughts. 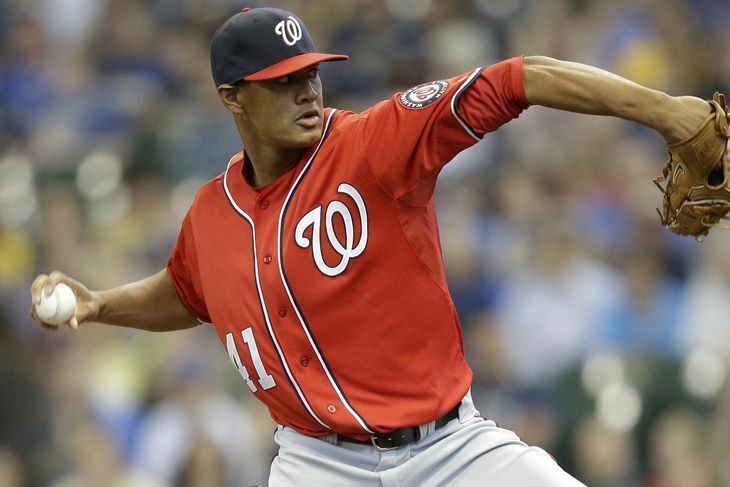 Joe Ross to undergo Tommy John; I don’t think anyone saw this coming, but then again nobody saw it coming with Stephen Strasburg either. With Stras it seemed to be a one-pitch injury. Ross’ pitch f/x data for his last start indicated that he was definitely off his typical velocity; compare his 90mph average on July 9th to his July 4th start, where he started routinely in the 93-94 range, before dropping off a cliff towards the end of his outing. If I had to guess, I’d guess he might have injured his arm somewhere in the 7th inning or so of his July 4th start and tried to give it a go the next outing before his teammate Max Scherzer spotted his distress. Ross finishes a struggle of a 2017 season where he got an amazing 10.55 runs per 27 outs of support; in 6 of his 13 starts the team scored more than 10 runs for him. He clearly had settled down from early season issues, throwing four consecutive quality starts and again looking like perhaps the best #5 starter in the league. Now he’s out until the all star break of next year at best, likely until September of 2018. He’s only 24, mind you, but this injury comes at a tough time for him; he’ll be arbitration eligible for the first time after the 2018 season, one in which he may only make a handful of starts. So this will cost Ross millions of dollars…. and will save the Nats at a time when they may be looking to save pennies for Bryce Harper. Looking at the rotation for 2018; as we’ll soon find out (read on), there’s not a whole lotta help on the farm, so the Nats are probably shopping for starters this coming off-season, unless you guys think Erick Fedde will be ready for prime time next April. In the meantime, it leads to a sticky situation in the near term yet again for this team. They traded away all their near-to-the-majors starting depth last off season, and have had to give starts already this season to three non-rotation guys (Jacob Turner, A.J. Cole and the ill-fated Jeremy Guthrie start early on). Well, now their starting depth in the minors is even weaker; A.J. Cole’s AAA era this year is a nifty 6.00 and the only other 40-man roster starter (Austin Voth) is even worse; he’s pitched to a 6.38 ERA in Syracuse this year and is either doing a rehab assignment or is being outright demoted to Harrisburg as we speak. So instead of going with an internal option, the brain trust is enlisting the help of MLFA Edwin Jackson, who eternally owes Mike Rizzo a bottle of champagne for NOT offering him a qualifying offer when he became a FA after his run-of-the-mill 2012 season for us. The lack of the QO enabled Jackson to get a 4 year deal he never would have gotten otherwise, but cost the Nats a pick that they probably could have used … heck a junior college starter drafted towards the end of the first round in 2013 … probably would have been Sean Manaea, currently dominating for the same Oakland As who just sent us our next wave of bullpen reinforcements (more on that in a moment). But I digress. We plan on giving Edwin Jackson another shot in the majors, despite his giving up 11 hits and 4 walks in 5 innings for Baltimore earlier this year, despite his pitching to a 5.89 ERA in San Diego last year (where everybody looks like a Cy Young winner). I’ll say this: if the Nats can score in double digits for Jackson the same way they did for Ross … maybe it won’t matter than his ERA sits in the 6-7 range. It’ll look like a slow-pitch softball game. But what choice do the Nats have? 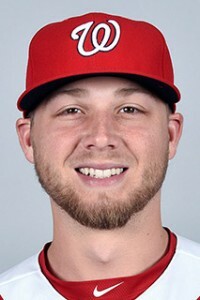 Erick Fedde you say? Have you seen his inconsistency in Syracuse? Its like the Nats didn’t learn from jerking Tanner Roark around a couple years ago; Starting pitchers are creatures of habit. They eat the same meal 2 hours before they pitch, they do the same running and lifting sessions in-between outings. If you have a successful starter, you don’t suddenly decide he’s a middle reliever. So it should be of no surprise that Fedde’s all over the road right now. Jacob Turner? Well, he’ll be around too; I’m guessing he’s option 1-B to Jackson as 1-A. But Turner is no savior; you don’t get DFA’d and pass through waivers and accept an outright to AAA as a pitching prospect in the modern game unless the rest of the league really, really doesn’t like you. To say there’s a lack of quality starting pitching depth in the league right now is kind of an understatement. Who else is starting for this team in the upper minors? Here’s the rest of the Syracuse rotation right now: Sean O’Sullivan, Jared Long, Greg Ross. Her’es their current AAA ERAs respectively: 4.40, 5.29, 6.34. Here’s how we acquired them, again respectively: MLFA in May of this year, MLFA in April of last year, and again MLFA in April of last year. So three org guys just eating up AAA innings, none of which are pitching especially well. No wonder Luke Erickson over at www.nationalsprospects.com has given up tracking the AAA team this year. Maybe we drop down to AA: how’s that look? Bleak. Taylor Hill is already demoted once this year and is closer to a release than a promotion. Austen Williams: 6.85 ERA. Matthew Crownover is pushing a 5.00 ERA. They just got Wirkin Estevez off the D/L: he’s only got 26 innings of 4.10 ERA pitching above A-Ball. Lastly there’s John Simms, the “Ace” of Harrisburg’s staff who is pitching there for the *fourth* successive season. He’s got solid numbers: 4-6 with a 3.57 ERA but middling K/9 rates and some hittability; would you rather roll the dice on a grizzled veteran with more than 1700 innings on his MLB resume or go with a guy who you refuse to promote even to AAA despite the same decently solid numbers year over year? I think you have your answer. So lets see how it goes. Jackson’s Syracuse numbers for 2017 are pretty nifty; 20 innings, 9 hits, 22 ks. Oh and 10 walks; we’ll just say that last part a little more quietly and focus on the positive. As I noted in the comments section in another blog … we’re about to see just what the difference is between AAA and the majors. Acquire: Sean Doolittle, Ryan Madsen: both mid-30s one inning guys with excellent numbers this year and neither being one-year rentals. Treinen just needs a mental D/L trip; there’s nothing appreciably different with his stuff from last year (when he was good) to this year (when he has been awful). Classic change of scenery guy who returns to his drafting team and probably has a solid rest-of-2017. Luzardo and Neuse are good prospects but young and several years away; perfect for what Oakland wants. I’m bummed they’re leaving (especially Luzardo, who by all accounts has come all the way back from TJ surgery and had looked solid in his early GCL outings). Prior to 2017, Neuse was generally about our 8th best prospect and Luzardo 12th or so. Both have improved their rankings with their play this year, so this may look more foolish if Luzardo becomes a #2 starter in a few years. But as they say, you have to give up stuff to get stuff. As others noted, the Nats managed to get these two guys without giving up any of their top ranked prospects (Robles, Soto, Fedde, Kieboom), which is a huge win. Crazy weekend. Sorry I missed it in realtime. Ask Collier; what’s up with the bullpen? 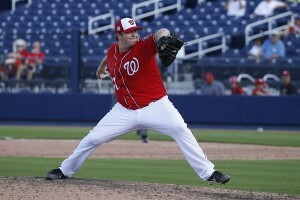 A mid-April mailbag from Nats MLB.com beat reporter Jamal Collier. Probably spurred on by these ugly numbers: 6.00, 6.43, 3.18, 6.75, 10.80, 8.10, and 11.57. Those are the current (as of 4/18/17) ERAs of the seven “original” bullpen members of your 2017 Nationals. The only one under 6 is Koda Glover, and for completion I should add that NRI Matt Albers has managed to throw 3 clean innings to help keep the bullpen ERA down. You may be saying to yourself, “Man, the Nats bullpen has been the worst in the majors!” You’re close, but wrong. There are several teams by any measure that have actually been worse than Washington, believe it or not. By ERA, there are 3 worse teams. By fWAR, there are 2 worse teams. And by FIP there’s one bullpen worse than ours. In every case, Philadelphia’s bullpen has been even worse. So we have that going for us. Lets get to the question. As always, I answer the question before reading Collier’s answer and sometimes edit questions for clarity. Q: Why is the bullpen struggling? From 2014->2015: 3 holdovers, 4 new guys. Frankly, the fact that a 100% remade bullpen was so successful last year was amazing. Perhaps now we’re seeing the downside of this lack of consistency. I trust most of the guys in the 2017 bullpen, based on prior history. I think I know what to expect out of Treinen, Kelley, Glover, Blanton, Solis and Perez. Romero we all knew is/was a lottery ticket, and he may be DFA fodder soon. Albers the NRI could be this year’s Todd Coffey; a successful middle reliever who we got for peanuts. I think we just need some time. That being said, lets look role by role and ask ourselves if we think this year’s bullpen is “better” than last. Will Treinen (as closer) be better than Papelbon? I like his chances. Will Glover give the team what Treinen did last year? I’m confident. Is Blanton better than Belisle? Undoubtedly yes. Is Perez the same guy he was last year? Probably. Can Romero be as bad as Petit was last year? Yeah, he probably could. Maybe you don’t agree with me on these quick takes … but on a general level the message is this: the bullpen this year should be just as good as last year’s. Collier delves into FIP to find some unluckiness, also notes its SSS. And he notes that its a MLB-wide trend; bullpens are awful everywhere for some reason this year. Q: How much rope does Blake have left? Is he staying put only because the other options have also struggled? A: See above: its April 18th. Treinen has 4 save opportunities, blew one (where he gave up just one hit to blow it), but his most recent outing was an ugly one necessitating some Bryce Harper heroics. My choice to close would have been Shawn Kelley honestly; more experience, more swing and miss stuff, more proven capabilities of getting guys out on both sides of the plate. But the team chose otherwise, mostly due to Kelley’s twice-repaired elbow and the need to go back to back nights. Ask yourself; how often do we need a closer to go back to back nights? Lets look at last year’s closer Mark Melancon and count how many times he pitched in back to back games for the entirety of 2016: I counted 16 times in 75 appearances. And in most of those cases, he then got several days off. I just can’t believe Kelley’s arm is SO FRAGILE that he can’t throw back to back nights. Do you know how many times Kelley threw on back-to-back days in 2016? Take a guess. 13 times. So 13 times last year (or nearly as many as the closer Melancon) Kelley threw on back to back days, but suddenly in 2017 he’s too fragile to depend on to throw back to backs as the closer. To get back to the question; I’m sure Glover will be closing sooner or later. It was always looking that way. How much rope does Treinen have? Probably at least til mid May. Collier says its early, that while Treinen has had some issues there’s no change coming anytime soon. Q: Who do you see as potential options in the Minors in case the current bullpen members don’t figure things out and changes need to be made? From AAA: Adams is the only guy having a halfway decent season thus far; in 7 2/3rds innings he’s given up just 1 hit (! ), walked 6, struck out 12. The team just re-signed Joe Nathan but I sincerely hope he’s not a legitimate option. From AA; the 5 best guys by WHIP are … the five starters. So that’s good I guess. Braulio Lara was an offseason MLFA with a lot of AAA time; he’s got decent AA stats right now and could be an option to move up, but not straight to the majors for me. Then there’s Ryan Brinley, who is sharing in closing duties but is young and is a total lottery ticket; a 27th rounder from 2015 who is a shock to have even made it this far. 40-man member Cordero is down here… and has a 19.62 ERA right now. Nice. From XST: there’s three potentially interesting names that could make sense for the bullpen: Derek Eitel, John Lannan, and Josh Outman. Eitel had solid AAA numbers last year and has been around for a while (age 29); he might be an option to look for. Outman has parts of 7 years MLB experience, some starting, some relieving and could be an option. Lastly, the new side-slinger Lannan could be a back-fill for an under-performing Loogie. I guess the other option would be to take a starter from AAA or AA and bring him up in relief. But the AAA starters are really struggling right now. Hill is getting bombed, Voth has given up 15 hits in just 6 1/3 innings, Cole walked 5 guys in his first start, and Turner has a 1.73 whip through 2 turns. And none of these guys are really known for their blazing fastballs; they’re all command and control starters. The AA starters look better than the AAA starters, but a couple of them strategically have to stay as starters (namely Erick Fedde and Austen Williams, John Simms to a lesser extent). Jaron Long and Greg Ross are both MLFA signings who the team may not have as much invested in … perhaps they could be put into shorter relief modes and considered for bullpen spots. But that’s digging deep. In other words … there’s not a lot of reinforcements that the team trusts right now. The MLB bullpen will be given plenty of rope to straighten themselves out. Collier mentions Albers’ success, Nathan signing, Cotts, Adams and Gott. Now that we’re basically through Prospect Ranking season, and now that the four full season rosters have been announced, here’s a fun little look at where all our “top” prospects are assigned to start out 2017. By “Top prospects” I basically mean anyone who has gotten more recent prospect rankings (so for example, Taylor Hill in Syracuse is not listed). Even an “honorable mention” in Sickel’s lists, which go nearly 40 deep. I have it organized not by general ranking, but by the level. Also, Here’s a link to every Nats prospect ranking list I know of dating to 2004 along with their respective starting locations going back 3 years (the below table only has this year’s and last for comparison purposes). MLB: Koda Glover‘s amazing 2016 rise from High-A to the majors is well documented. Now it looks like he may get closing chances sooner than later. For procedural reasons Jose Marmolejos has to be on the major league D/L, but you’d have to think he goes to AA when he’s off of it. His injury, in case you were wondering, is a “Left Forearm Strain” and he should be eligible to come off the 60-day D/L on or about April 24th. AAA: Of the 6 “prospects” in AAA … 5 of them were there last year. Only Rafael Bautista is making “progress” into the upper-most level of our minors. All six are on the 40-man and all 6 should get call-ups at some point this year (even if its 9/1 for someone like Bautista). We’ve talked these guys to death really; no real surprises on this list. AA: Lots of guys on the AA roster who have gotten mentions in the past. About half of them are Nats draftees making expected progress from High-A -> AA (Fedde, Stevenson, Ward, Abreu, Read). There’s 5 guys who are seemingly stalled at AA for the moment: Williams, Simms, Cordero, Perez and Kieboom all started last year at AA. And then there’s the two oddities in terms of assignments: Johansen (as previously discussed) and Self (who is now in AA for the fourth season). High-A: 10 of the 13 guys here are making year-over-year expected progress from Low-A. Two more (Davidson and Reyes) are repeating the level, and then there’s Bacus, who started last year in AA and seems to be moving backwards. Low-A: 6 guys making expected Short->Low-A jumps, another 4 making the more impressive GCL->Low-A jump. Only Reetz languishing here, repeating Low-A and looking more and more like a draft disappointment. And its reflected in his system rankings; upon his drafting he was back of the top 10 … now he’s 18-20 range, if ranked at all. XST: contains the expected mix of guys coming off injury and youngsters who were in either the GCL or the DSL last year and were not really ever candidates for Hagerstown. Some of these guys likely get assigned to full-season squads as injuries occur, others will slot into short-season squads in a couple of months. Biggest names here are Luis Garcia, Jesus Luzardo, Yasel Antuna, and Jose Sanchez (who might still be in the DSL as a 2016 IFA signee).